Hi guys! I hope you are having a great Tuesday so far. Today on the blog I have a weeny family of seahorses. 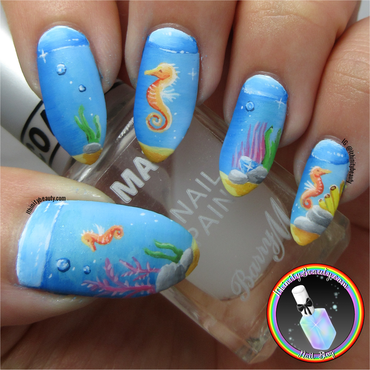 I enjoyed painting these so much, seahorses always look so calm and peaceful. I've never seen a pissy seahorse. More pictures and close ups on my blog http://bit.ly/eahorse Have a great day!